The TUTU unfolds to become a low seating mat for get- togethers or outings. The single seat design has been prototyped for small personal activity areas like studio apartment like set ups, while the three seater can be used for big public areas like malls and airport seating. 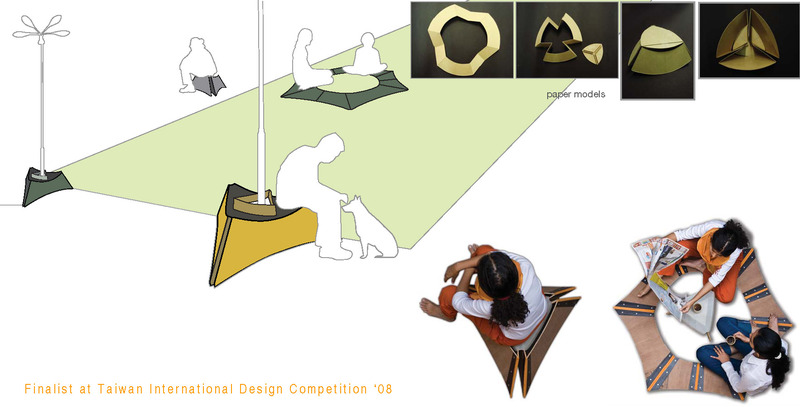 TUTU was among the finalists in Taiwan International Design Competition ‘08.